Merry Christmas and Happy Hannukah and Happy Holidays to AllWishing you a holiday season filled with laughter, good cheer, and some hot licks. Happy Birthday DjangoOur leader would have been 97 today Happy Birthday Django and thanks. Happy Birthday Django!!! !I'm gonna celebrate by learning a new Django tune!!! 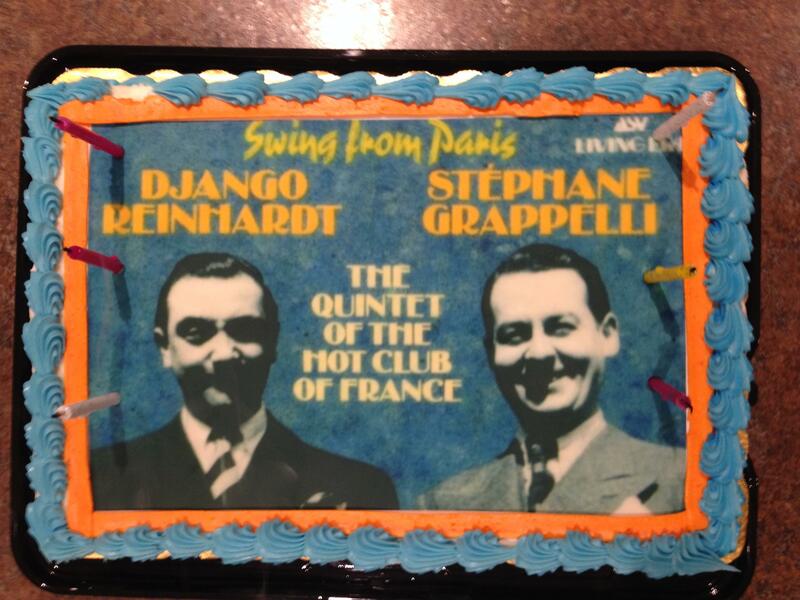 Happ Birthday to Django (January 23, 1910) and Stephane (January 26, 1908)! 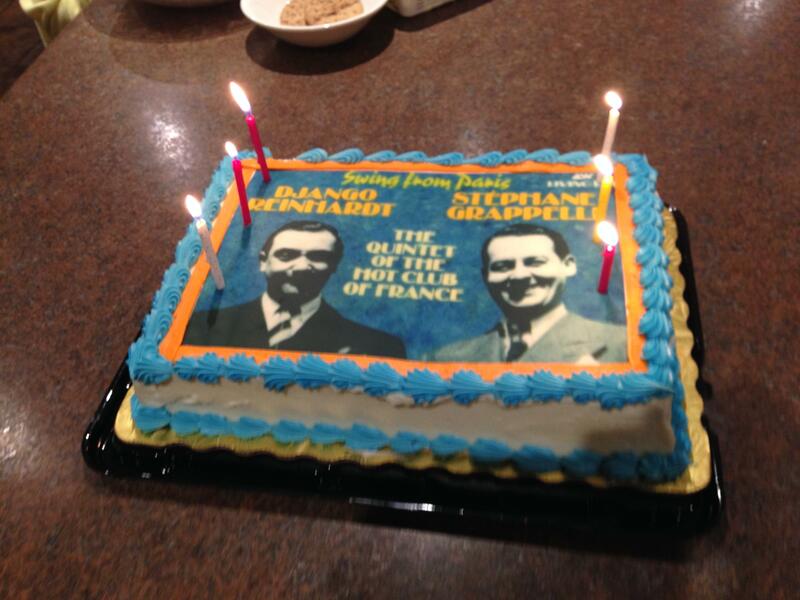 Happy Birthday Django and Stephane!! !